Congratulations to Sylvia Mukasa( Chapter Lead) and Charlene Nyambura Migwe for putting this amazing event together . The dynamism in technology is one of the reasons I choose this career, there is not one boring moment when you are in the technology world. We all wake up and there is something different each day, it’s thrilling and exciting. Being a lady in technology is even better; the look of surprise on people’s faces when you tell them you are an IT specialist makes one feel good about one’s self. The journey has been both exciting and full of challenges while some of us women might lose hope along the way, I choose to hang on and fight. I love science and engineering and it’s my hope that we can get as many girls as possible to do same. In my college class five years ago, we were only ten girls out of an estimated sixty students, out of the ten a few of us graduated and currently I know of none of them who is actively into the technology profession. Well that is a sad situation in itself and one that we all need to work hard to change. Things are changing fast though and more women are taking up science, engineering and technology courses but we are not there yet. After school I joined Flex communications which is a software development company as a programmer ,I was also involved in customizing custom-made software’s to fit organization’s needs. Programming is a challenging career and it’s even hard when you are lady and you have people who believe you cannot deliver because of your gender. I had many incidences where I would get assigned only simple tasks while my male colleagues got all the challenging projects. It was demoralizing but I have always had a positive attitude and a fighting spirit. After leaving Flex I joined CARE international, an NGO dealing with humanitarian work as an ICT officer where am currently working, I do IT support and ensure the daily running of technical and communication equipment’s for the organization, besides that I also develop different kinds software’s and market them to companies as a side business. My goal is to setup Computer labs in primary and secondary schools across Kenya and equip them with computers, trainers and internet. We will introduce computer skills to girls at a younger age and help them build a good foundation of technology. We will also mentor these girls to take up STEM courses when they join institutions of higher learning. We want women to take up more science courses since the field is under represented with a huge percentage of the jobs in science being done by men. 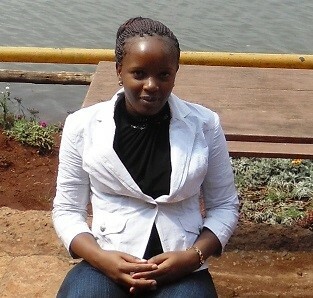 Virginia Wairimu is Kenyan IT graduate with Bias in software development using Vb.Net, C# among other languages as well as IT software & Hardware support and networking. I’m hoping to start coding classes for young girls and ladies to mentor them to join IT and the Tech world. Currently I’m working as an ICT officer with CARE International in Kenya, which is an international NGO dealing with humanitarian activities among other projects; previously I have worked with Flex Communications as a Software developer. I also have an interest in writing and photography. 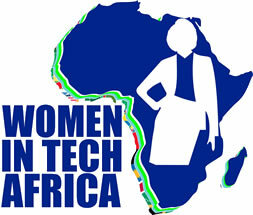 I’m in the process of initiating a project that will see young girls in primary and secondary schools get formal training on technology which will include basic computer skills to advanced education such as coding as well as mentorship to these girls to encourage them to take up science and engineering courses. We will also train them on how to be creative and innovative using technology and also use technology for enterprise purposes.